Rock on the porch and enjoy the peaceful gingerbread cottage community. 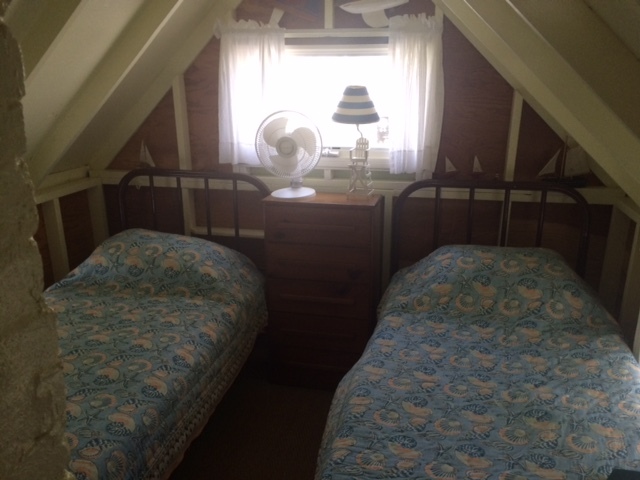 Walk to the ferry, Tabernacle, shops, restaurants, homemade ice cream parlors, beach, and library. 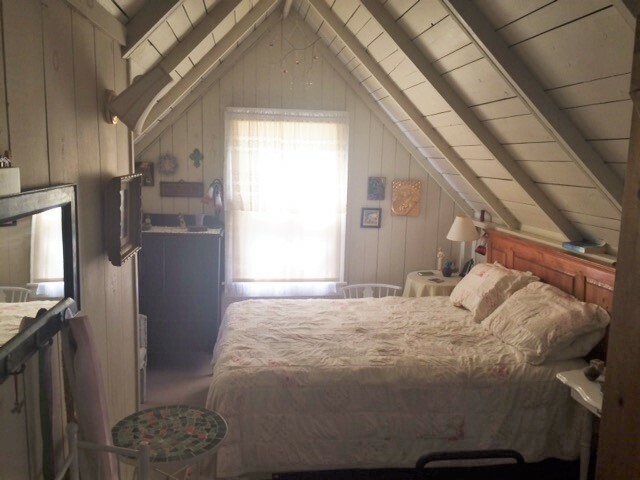 This quaint cottage rental is for up to 6 people. The first floor has a comfortable relaxing Living Room, Dining room seats 4-6, Kitchen with regular sized refrigerator, stove, microwave, toaster, and Keurig, Bathroom with stand up shower. The second floor has 1 spacious master bedroom with a queen bed, 1 bedroom with 2 twin beds, a middle room with a deluxe queen futon and cable TV, DVD player, and Wi-Fi. Small side yard fenced in patio, outdoor shower, and one parking space directly behind the cottage. Non smoking cottage and no pets. Weekly Rate $2,200 Refundable security deposit of $300. Sleeps: up to 6 people.